"Development of Quantitative and Qualitative Molecular Biological Methods to Identify Plant and Animal Species in Foods"
The goal of the MOLSPEC-ID-project is the development of detection methods to identify specific plant and animal species in foods. (Contract No QLK1-CT-2001-02373. Duration: 2001-2004) More information about the project under: Introduction. 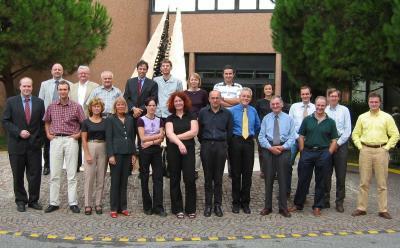 14 Partners out of 11 European countries are involved in the MOLSPEC-ID-project, organized in 5 Work packages. The Meetings shows the major meetings and milestones of the project. Participants can find internal project information, documents and software in a password-protected Internal section. Please log in to view documents and slides. An overview of this site (molspec.org) is available under: Sitemap. For questions about the project or feedback to this site choose Contact. Disclaimer: MolSpec is not responsible for linked contents.